The demands of modern-day living can be overwhelming, leaving many people feeling that they never get a moment to themselves. But however many demands you have on your time and energy, one thing is for sure, if you overdo things on a regular basis, you risk burning yourself out. Taking some time out to relax is essential for your wellbeing, particularly your mental wellbeing. Too much work and not enough play can contribute to problems such as anxiety and depression. Spending time on yourself can mean lots of things. You may simply want to switch off your computer and phone and bask in 10 minutes of silence. Or you may want to escape from reality by reading a book or watching a film that helps your mind relax. Whatever you do, try to do it fully and completely. So if you go for a walk, for instance, try not to listen to music or think about what's on your to-do list at the same time. Just concentrate on the sights, smells and sounds around you as you walk. Exercise can protect against the effects of stress by taking your mind off anything that's bothering you and making you feel good about yourself. It's widely acknowledged that physical activity boosts your brain's production of 'feel-good' hormones called endorphins and can lower your blood pressure, both of which can make you feel calmer. Do something physical that you enjoy, whether it's going to the gym, cycling, horse riding, swimming or playing a team sport such as cricket or netball. Just heading outdoors into the fresh air for a brisk walk is enough to elevate your mood. 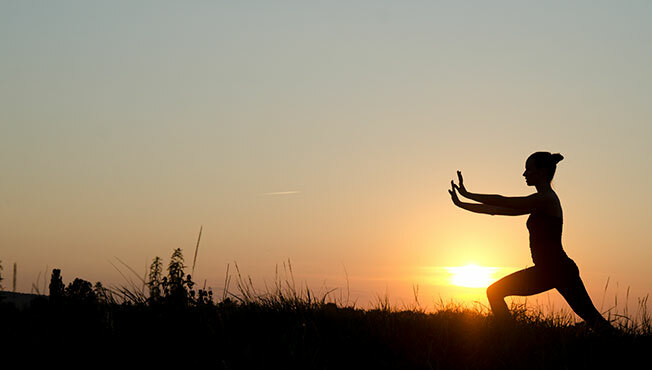 Yoga, t'ai chi and Pilates all incorporate controlled movements combined with breathing, which may help you feel more relaxed. Activities that help your brain switch off from life's pressures are a great way to spend your 'me' time. Learn a musical instrument, do some gardening, go fishing, try your hand at painting or life drawing – just do something purely because it makes you feel good. Anything that takes you away from problems at home or at work will be worth every minute you spend on it. A hobby can also be an ideal creative outlet and help you meet and bond with other people. And it can give you a sense of satisfaction whenever you achieve or finish something you've been working on. There are a huge number of hobbies you could try – try looking in your local library or go online for information on classes, activities and events in your local area for inspiration. Having a massage is another way to help your body release endorphins while at the same time reducing the production of stress hormones. It can also help your muscles relax, while at the same time reducing your heart rate and blood pressure and boosting your circulation. If you're not a fan of body massage, try having a manicure or pedicure, or having a facial treatment. All of these can boost your self-esteem and help you feel calmer, physically and mentally. If you don't have the energy for hobbies or anything active, you could also try recharging your batteries by taking time out for a daytime nap. Find a quiet corner, switch off your phone and close your eyes – but don't nap for too long, as it could make you feel groggy. Find out how to nap effectively by reading our article, Power naps: it's all about timing. Alternatively, take a midday meditation break. Just five or 10 minutes of sitting quietly and observing your breathing could make the rest of your day more enjoyable and productive. 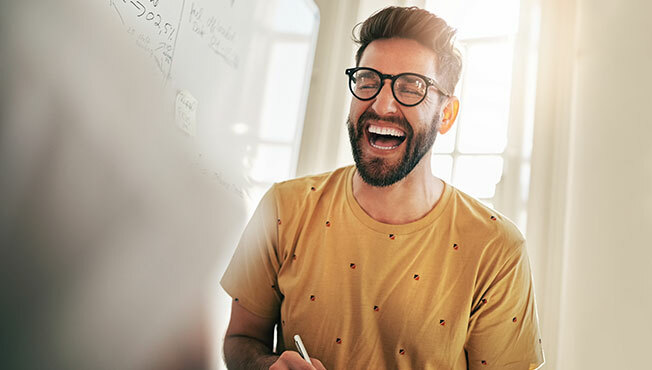 Experts believe laughter reduces stress hormones and blood pressure while boosting the immune system and triggering the release of endorphins. When you're laughing, your stress dissolves – even if it's only for a few moments. So try to make time during your day to read a funny book, watch a comedy or meet up with a friend who makes you giggle. Looking for the healthy option? Go to our Your health matters website for everything you need to take care of your physical wellbeing. Eat well with nutrition tips and a cook along video. Move more with easy exercise tips and a personal training video. Learn to rest and relax with a simple yoga video.